Wenn ich reise, esse ich gerne regionale Speisen. Sie sind so fein, speziell und überhaupt, es geht ums Prinzip. Quiche im Elsass, Käse in Frankreich, Pizza und Spaghetti in Italien. Hamburger in den Staaten, Boston cream (Tim Hortons) in Kanada, Knödel in Österreich, Capusta in der Ukraine. When I travel, I like to eat local food. It’s a matter of principe. For example, cheese in France, pizza and spaghetti in Italy. Quiche in the Alsace, hamburgers in the States and Boston cream (Tim Hortons) in Canada, capusta (cabbage) in the Ukraine. This post is linked to Claudia’s a favourite thing Saturday. It’s fun, so join the party! Es gibt im Schweizerdeutschen den Ausdruck „schnurpfe“ oder je nach Dialekt und nicht festgelegter Schreibweise (Schweizerdeutsch ist eine gesprochene Sprache) auch mit ä, also „schnurpfä“. Ein wunderbares Wort, das viel mehr ist als nähen. Es konnotiert den plötzlichen Drang, der mit sich bringt, dass die Schnurpfende entweder früh morgens sofort aus dem Bett springt und ohne Morgenessen (auch ein Helvetismus) noch im Pyjama den Stoffvorrat inspiziert oder diesen spät am Abend und schon im Pyjama durchwühlt, um das einem Blitzgedanken entsprungene Projekt zu verwirklichen. Schnurpfe ist nähen aus einem innersten Bedrüfnis heraus. 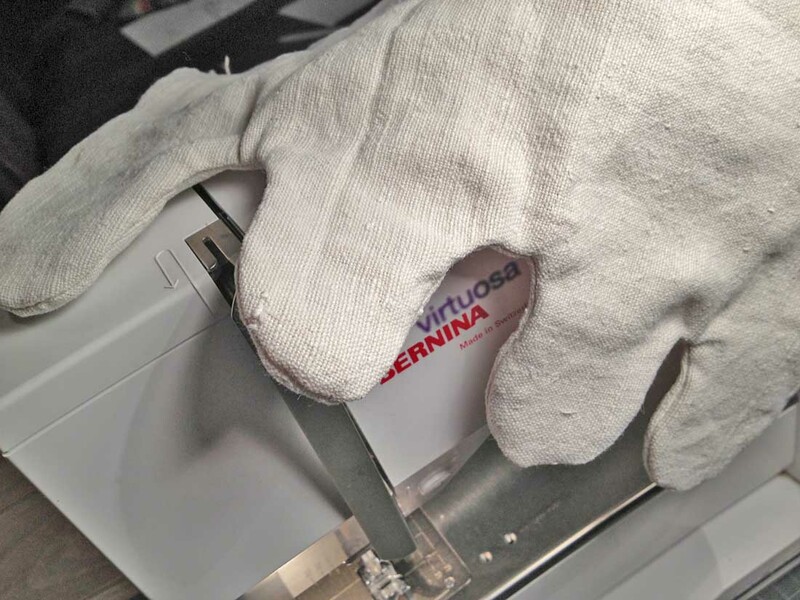 Zielstrebig wird Stoff zerschnitten und zusammengenäht, ohne sich lange mit Planung, Massnehmen, Stecknadeln und Heftfaden aufzuhalten. 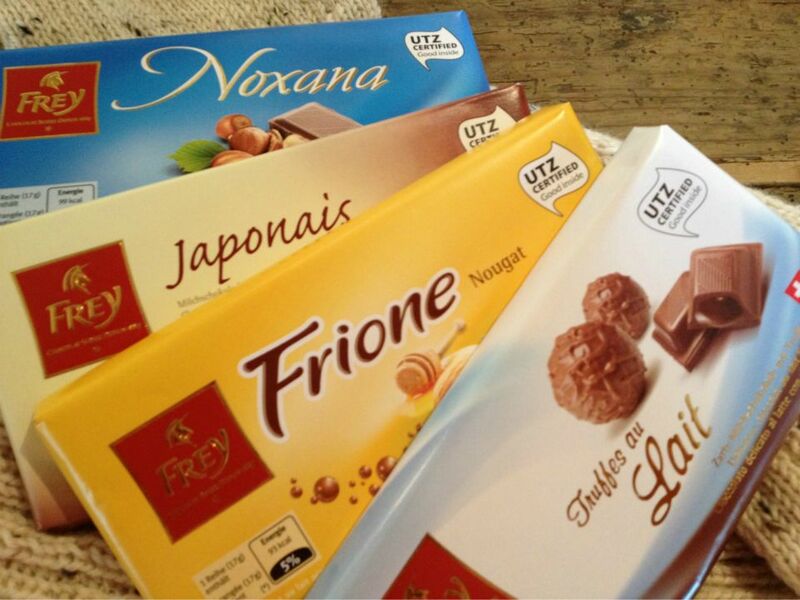 Schnurpfe schliesst höchste Befriedigung, aber auch tiefste Frustration mit ein, je nach dem ob das Produkt gelingt oder misslingt. Swiss German has its own expressions an English speaking person can’t even pronounce. 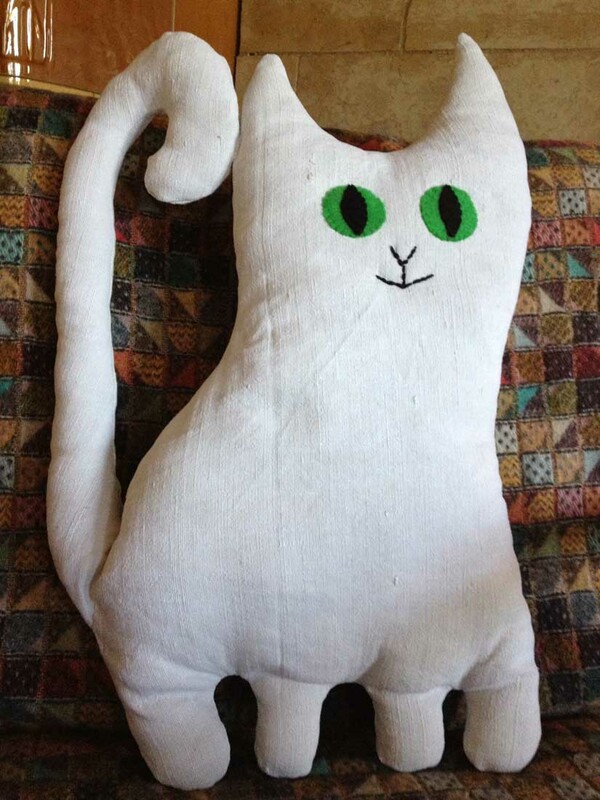 „Schnurpfe“ or „schnurpfä“ depending on the dialect and an undefined spelling (Swiss German is a spoken language) is more than sewing because it connotes the immediat urge to create. Therefore the person who schnurpfs often jumps out of bed early in the morning and starts looking through the stash of fabric without breakfast and in her pyjamas. 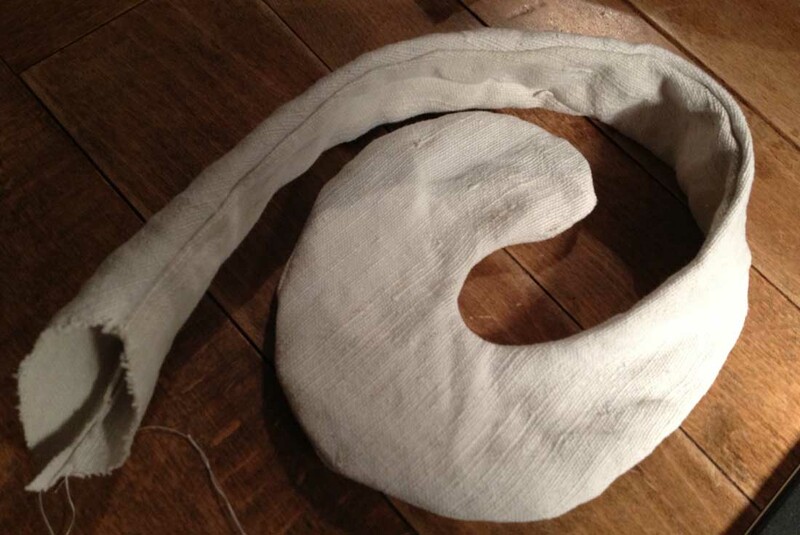 Or she starts rummaging in the fabric boxes already in her pyjamas late at night in order to materialize an idea. 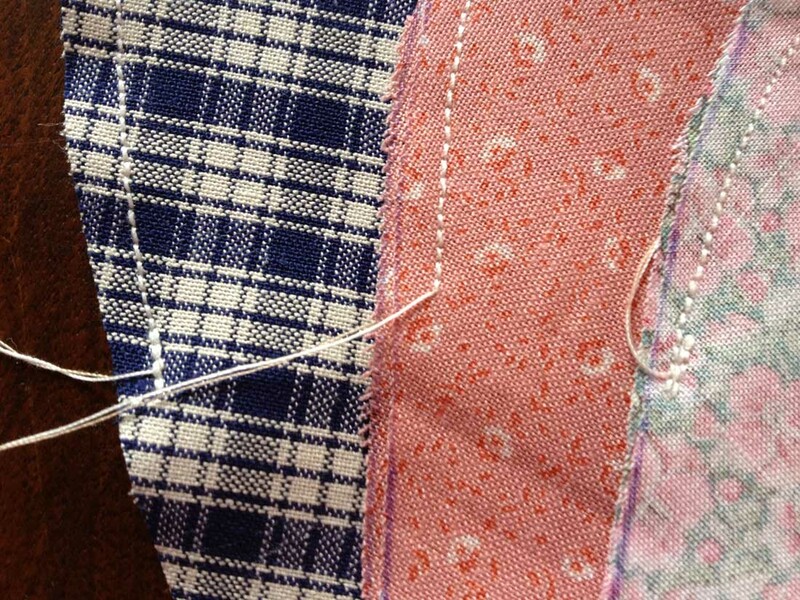 Fabric is cut single-mindedly wihtout a thought-out plan or scheme. It includes either high satisfaction or deep frustration depending on success or failure. So, jetzt aber fertig geschnurpf und ab ins Bett. Hast du gewusst, dass eine Katze auf Grund spitzer Ohren identifiziert wird? Oder ihres langen Schwanzes, ihrer vier Beine oder der lanzettlichen Augen? You can identify a cat by its pointy ears. Happy FO-Friday to all of you! Miau-Miau-Miau at Tami’s Amis. 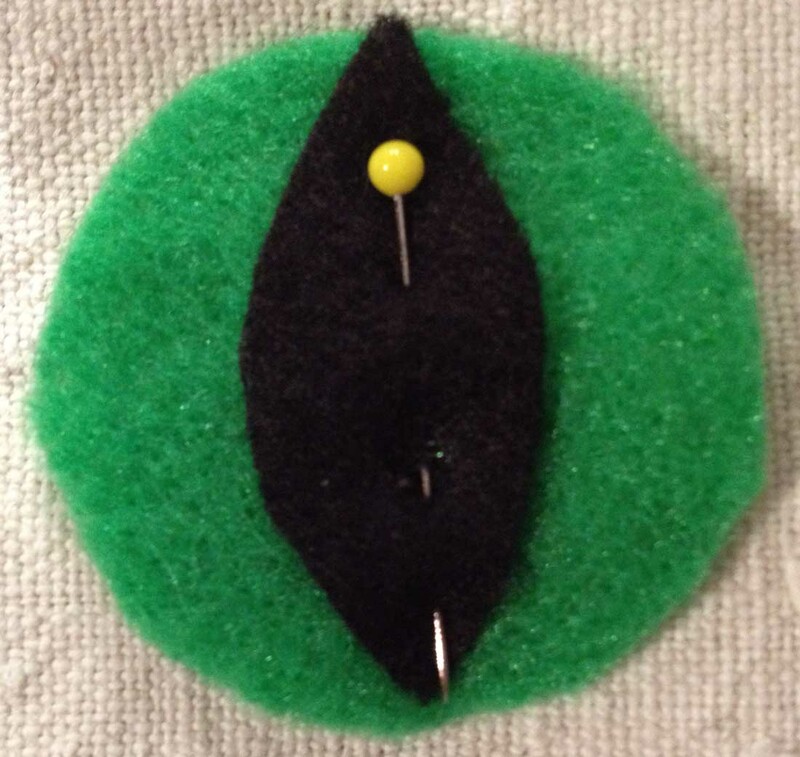 Die Stricknadeln ruhen heute, denn ich warte noch immer auf Wolle, um die Schotten fertig zu stellen. 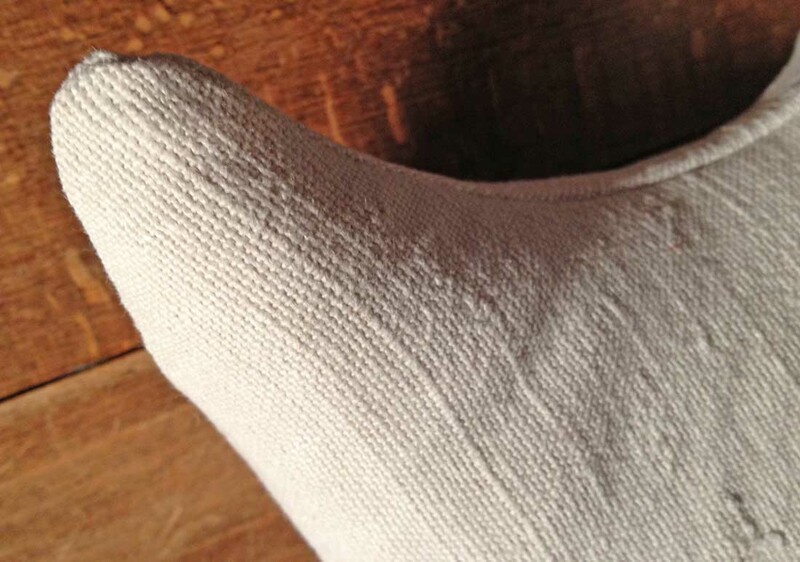 Auch Septembersocken wird es keine geben. Ich habe mich für Beinstulpen entschieden, weil ich die 100 Gramm bis aufs letzte Restchen aufbrauchen möchte. Was hätte ich auch sonst mit einem Rest machen sollen. Heute ist dafür meine Nähmaschine aktiv. Herzen sind nämlich immer wieder schön, und diesmal entstehen ein paar romantische. Die Fotoabfolge ist ohne Worte und hoffentlich selbsterklärend. Für ein symetrisches Herz falte ich ein Papier, zeichne und schneide, bis mir das Herz gefällt. No knitting today as I am still waiting for the yarn to arrive (remember the kilt hose?). Then I’ve to announce a change of plans: no September socks but leg warmers instead, because there would have been left over yarn I had no idea what to make of it. 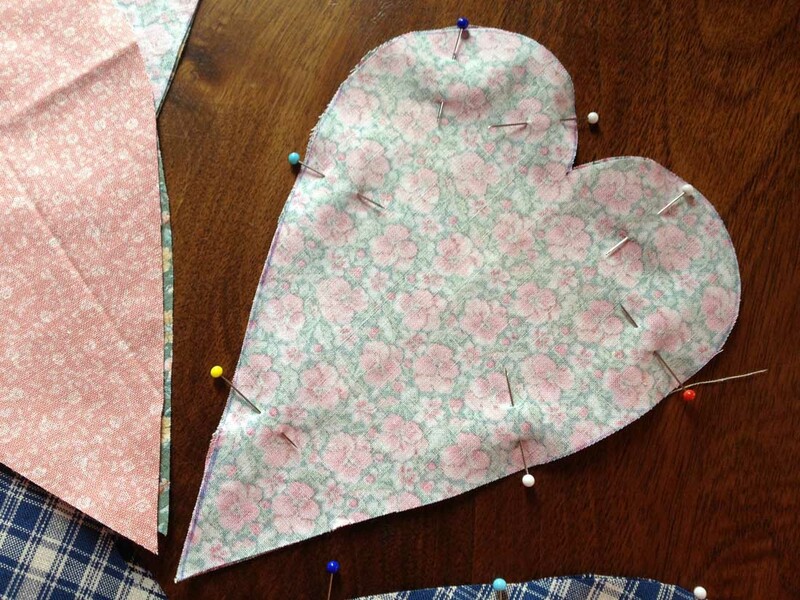 But I share a sewing project today that can be sewn by machine or hand. Hopefully, the pictures are self-explaining. 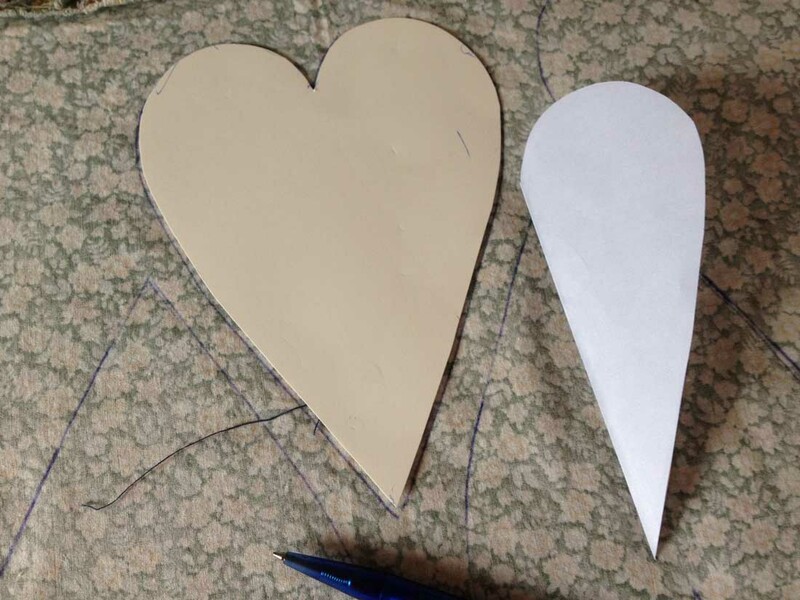 Just a little remark: In order to get a symetrical heart, fold a piece of paper and draw and cut half of a heart as many times until you like it. 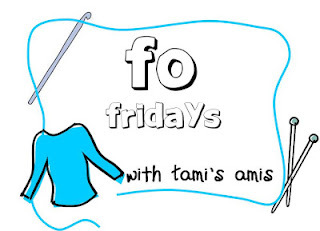 You may want to check out what others are up to at Tami’s amis. I’m still thinking of the wonderful weekend we spent in Lungern. We met lovely people and enjoyed a glimps of India. After the last good bye, I got a very nice gift made of marigolds. 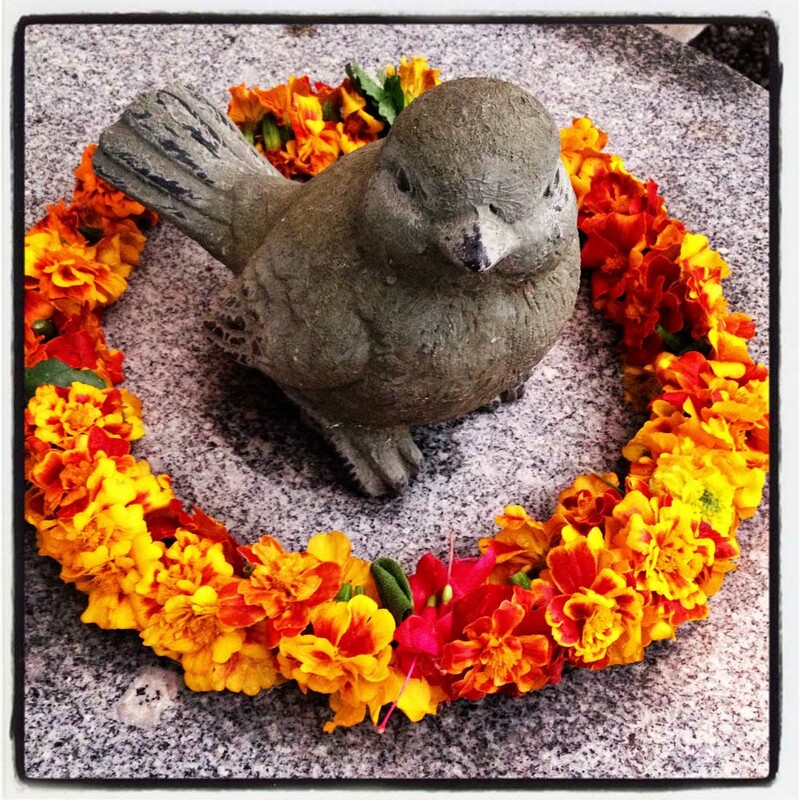 I gave the flower garland an appropriate place on the little table in front of the house. Birdy likes it as much as I do. It’s beautiful, isn’t it? Das schöne Wochenende in Lungern klingt noch immer nach. Wir haben nette Leute getroffen, einen Hauch von Indien schnuppern dürfen, und ich habe zum Abschied ein schönes Geschenk erhalten. Diese Blumengirlade hat die Tochter unserer Gastgeberin aus Tagetes gemacht. Auf dem Tischchen vor dem Haus hat sie einen passenden Platz gefunden. Birdy hat ebenso grosse Freude wie ich. Ist sie nicht wunderschön, erfrischt vom Regen? My favourite colour is red. But I like blue a lot, and there is nothing like a rainbow-coloured item. Dark brown suits my looks as do dark pink and aubergine. Yellow, clear blue and some green shades, on the other hand, make me look pale and sick. When I wrote about my many woolen socks two weeks ago, I noticed that most of them are blue. I’m going to replace them with different colours that haven’t been in my collection yet. Socks are far away from my face and don’t give the wrong impression health related so I wanted to make a green addition first but had to order some yarn yesterday. On my needles now are 60 stitches of Mille Colori (Lang Yarns) in different shades of green and a bit of a rainbow inbetween. The ball is a gift from my friend Iris by the way. 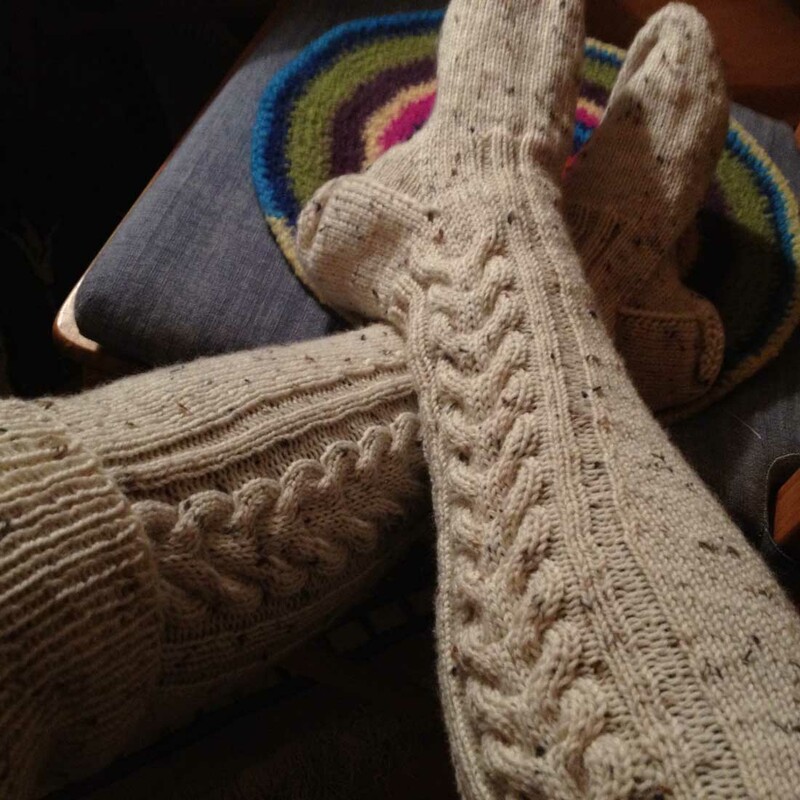 Yes, she knows how to please a knit- and sockaholic. 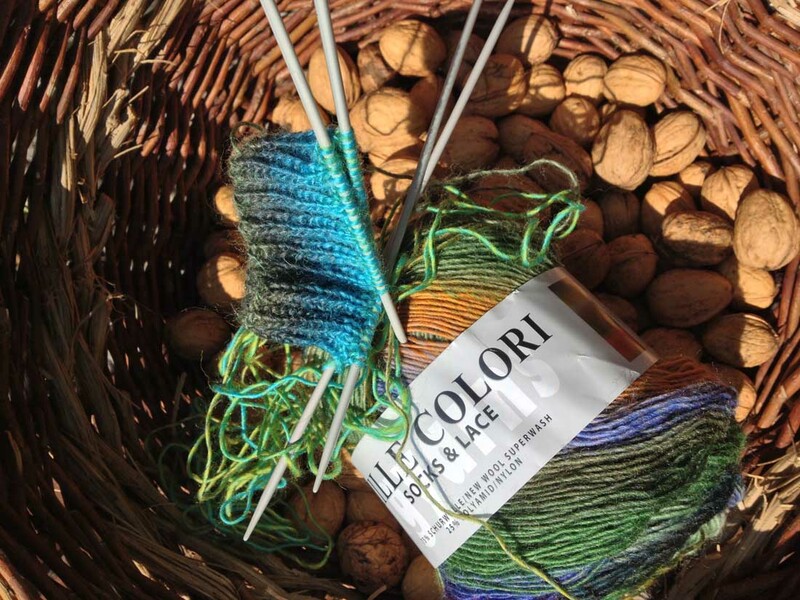 A thousend thanks for Mille Colori! These are going to be my September socks. 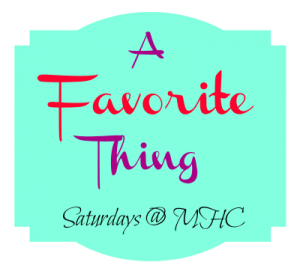 Today is A Favourite Thing Saturday at Mockingbird Hill Cottage. It would be nice to join you there. Gestern ereigneten sich zwei Dinge, die schliesslich zu einem fertigen Gegenständchen führten. Erstens ging leider meine Sockenwolle aus, und leider hatte auch der Laden, in dem ich sie gekauft hatte, noch mein Lieblingswollladen einen Knäuel vorrätig. 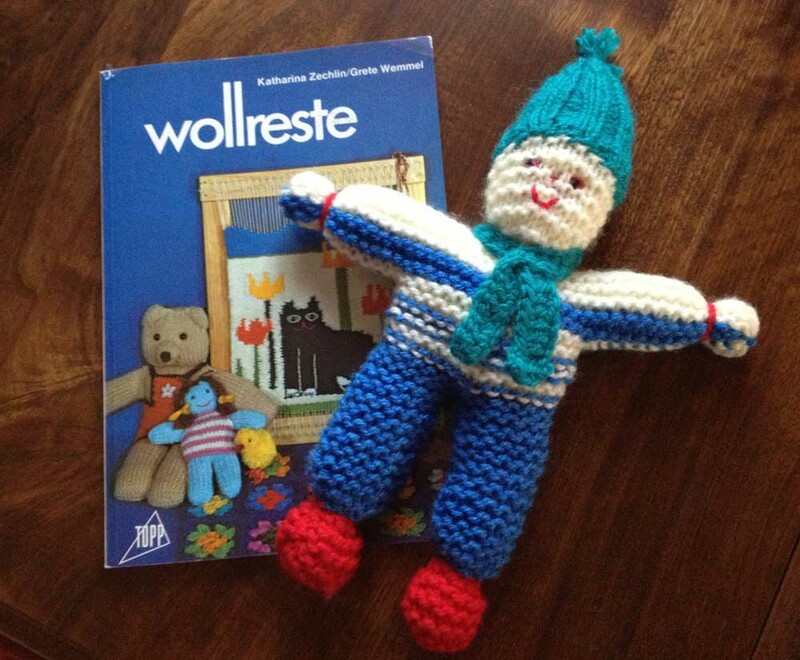 So ist vorerst einmal Schluss mit Stricken, bis dann die Internetbestellung ins Haus geliefert kommt. Zweitens klingelte meine Nachbarin an der Haustür und fragte nach Häkelanleitungen für Vorhänge. So ist mir dann ein Heftchen aus meiner Kindheit in die Hände gefallen. Normalerweise stricke ich lieber Kleidungsstücke, aber die Püppchen, Zwerge und Clowns hatten es mir angetan, wo ich doch auf der Suche nach etwas Kleinem, Schnellen war. Es hat dann doch ein bisschen länger gedauert, denn obwohl der kleine Zwerg in einem Stück in Rippchen gestrickt wird, gab es arg viele Fäden und ein grosses Durcheinander. Ausser einem Bild steht auch keine Anleitung zur Verfügung. Anleitung: 8 Maschen für die Füsse und Beine, dann 16 für den kurzen Körper, dann je Arm 12 dazu aufschlingen. Nach wenigen Rippchen je Arm 14 Maschen still legen, macht 12 für den Kopf. Und auf der anderen Seite geht es wieder runter. Two things happened yesterday. Firstly I ran out off sock yarn and had to order a ball in the internet because the two yarn stores in the neighbouring villages I know did not have any. Secondly, I my neighbour came over and asked for crochet patterns to make curtains. While looking for them, I found a booklet from my childhood. 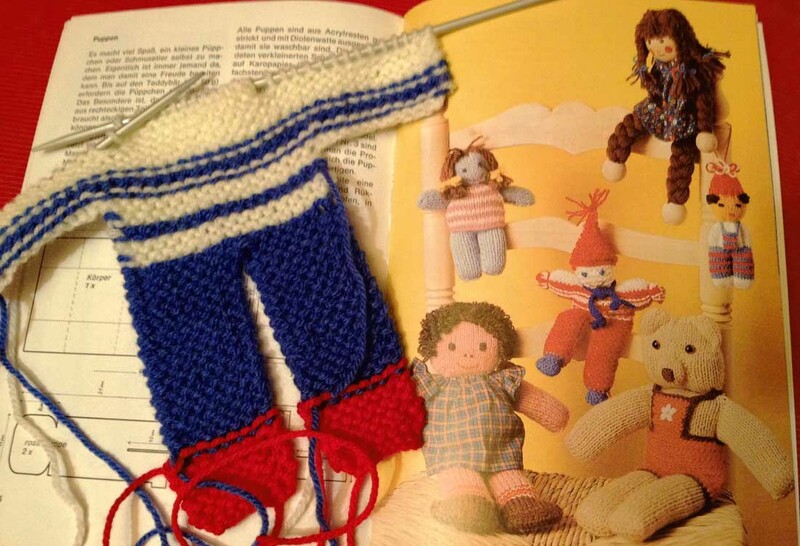 Although I’d rather knit garments (socks for example), I thought the twars and dolls were quite lovely. I was looking for a small project anyway, and garter stitch couldn’t be that demanding, could it? However, I took me a while until the little guy was finished because there were quite a lot of endings and everything was a tangled mess. 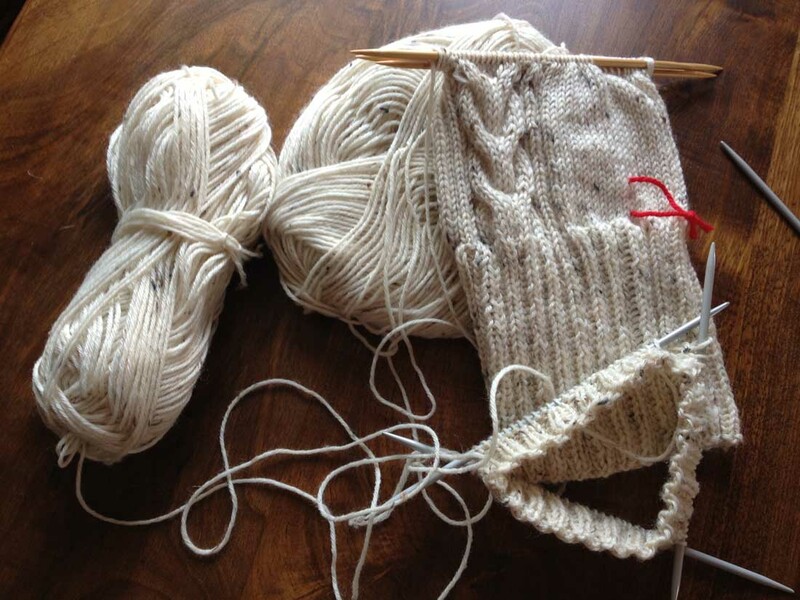 Furthermore, the pattern wasn’t more than a picture and I had to figure out how I would knit the twarf. Pattern: Feet and leg 8 stitches, 16 for the short body, then cast on 12 stitches for each arm. After a few rows stop knitting the stitches for the arms on each side, which makes 12 stitches for the head. Go down similarly on the other side. I wish you all a pleasant weekend. 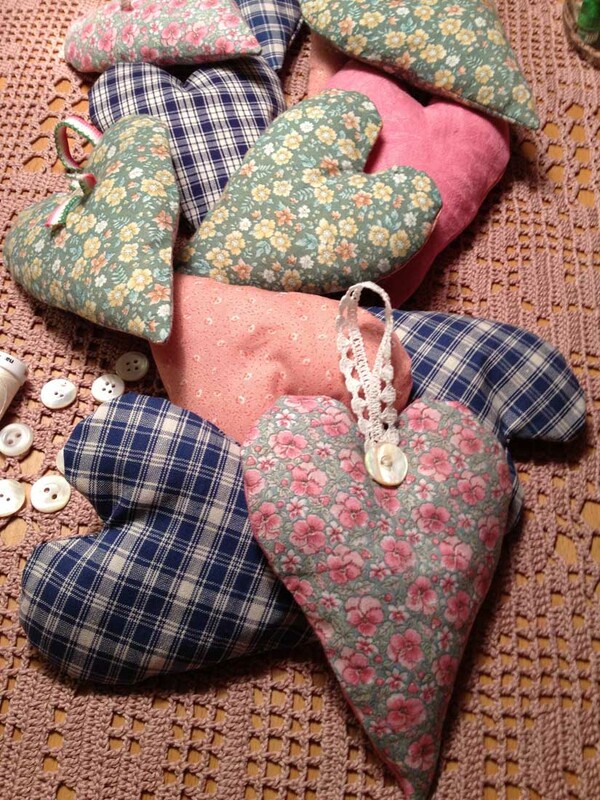 If you do not have an idea what to do, check Tami’s amis, where you can find a lot of inspiration. I’m a Perfectionist – Zu perfektionistisch? 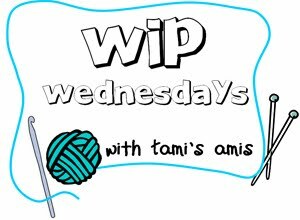 As always on Wednesday: hop over at Tami’s to check what others are up to.